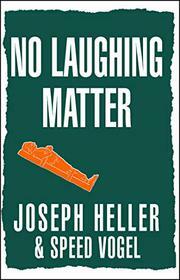 Leave it to Heller to have a bout with paralysis and death that brims with life and humor. The story of his struggle with Guillain-Barré syndrome--a rare, debilitating polyneuritis--is harmoniously co-written by the author of Catch 22 and the old friend who became his valet, secretary, business manager, and part-time nurse. The inscrutable fears and cosmic injustices in Heller's fiction here become real, but the account of his fall and resurrection, though frightening, is always hopeful, even joyful. The subject is not disease, but the good things in life: friendship, romance, freedom, Chinese food. Along with objective observations of his stubbornly disobedient body, Heller relates his efforts to pitch woo while paralyzed and tells how the disease became an issue at his unfriendly divorce proceedings. Throughout, Heller is witty and wonderful. Once a cheerful gourmand, he is reduced to taking all his meals through a tube. When a nurse offers to pour some champagne through his tube at New Year's, he passes in deference to his unwell body, noting "Besides, I never could abide the taste of any but the best champagne." Another of the frustrations of paralysis is not being able to bite one's fingernails. Vogel--former herring taster, former textiles executive, former sculptor--writes with clarity and humor, if with less stylistic bravado than his novelist buddy. The collaboration--done in alternating chapters, with occasional hilarious cross-interjections--is effective. Among other things, Vogel's candid appreciation of Heller's legendary grumpiness gives dimension to the story. Both authors would have us believe they were simply two men who didn't have any choice. Was Heller courageous in the face of his devastating disease? He notes sardonically that he couldn't have flailed his arms, beat the ground, or put a pistol to his head if he had wanted to--after all, he was paralyzed. Was Vogel selflessly devoted to his longtime buddy? Hell, he didn't have a job anyway, and he got to live in Heller's great apartment, wear Heller's clothes, sign Heller's checks, and even take out Heller's girlfriend. Their literary collaboration is just as fortuitous. Heller is sharply observant and amusing, even in a hospital bed. Vogel is a character, and handy with anecdotes. Beneath its sarcasms, then, an enjoyable, life-affirming account of friendship and courage.